Electro offer the record K 21 revolving door which is a two-wing revolving door that mainly comes with an automatic middle sliding door or optionally with swing doors. With show cases, a watertight roof structure or with an air-curtain do you have the choice on numerous options and design executions. The internal diameter can be chosen by the customer, we aim to offer flexible sizes to meet all specifications. The maximum flow is 80 persons per minute and this model is suitable for wheelchair users and shopping trolleys. The standard model comes equipped with an integrated automatic sliding door and two display cases, but it can also be ordered with a fixed segment, integrated two-way swing door, and without a display case. The K 21 model has unique safety standards, thanks to its radial sliding leaves. At Electro we have worked with two wing revolvers for over 3 decades and fin the K21 to be extremely aesthetic due to the compact design of the canopy structure, which is just 330 mm high. Electro can offer the Record K 21 in any colour combination as well as in brass, aluminium, stainless steel or all glass finish. A factory-fitted switchable control reduces the speed of the revolving door, also making it suitable for the use of people with disabilities. Electro can offer any RAL colour or anodised finish, or an all glass model, which has especially transparent aesthetics. To enable easy access to wheelchair users and walking disabled, the Electro record revolving doors can be fitted with a switchable control to reduce the speed. Also exemplary is the high level of safety, a feature of all record door systems. 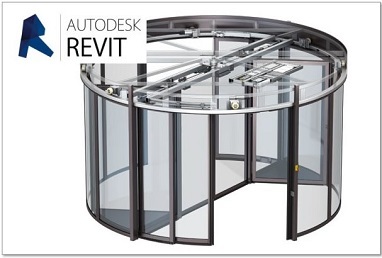 Our revolving doors all carry official TÜV certification. All doors can be used as emergency escape routes, and work as additional escape support.